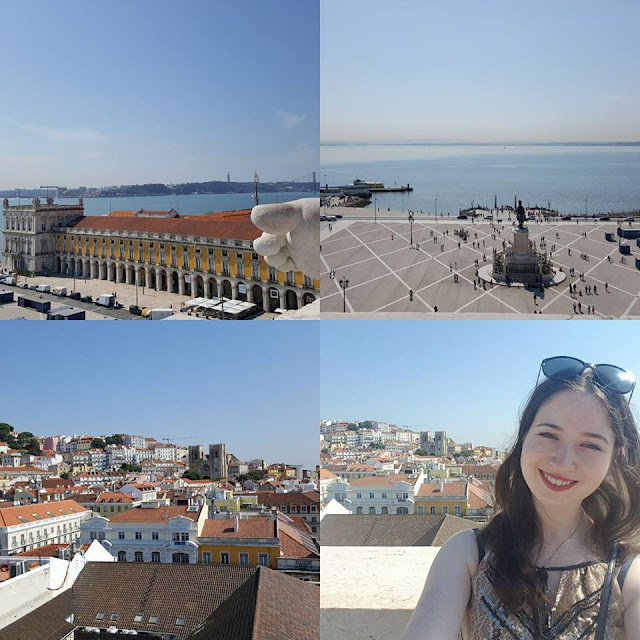 Back in September I visited Lisbon and I have finally decided to blog the experience. It's very belated I know! 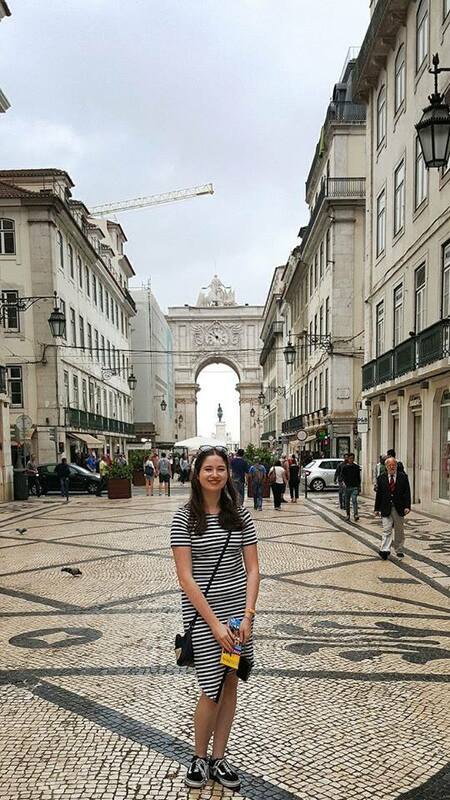 One of the first sights we visited was the Rua Augusta Arch, it was located a short walk from our hotel and we just happened to stumble upon it on the first day. Me and my friend had ordered Lisboa Card's and this attraction was included with this. Meaning you could go up the arch as many times as you wanted in the time that your card was valid for. We went up to the top twice as on the first day Lisbon was cloudy and rainy. Amazingly everyday after that was bright and sunny with blue skies. If you don't have a lisboa card it's approximately 5 euros to get to the top, so it's very fairly priced. As well as being a great piece of architecture to look at from the ground, on a sunny day from the top you have a fabulous view over the whole of Lisbon. Making for some fabulous photos and panoramic shots. The Arch is one of the easiest and most centrally located sights to visit in Lisbon and for the price it gives a great view. If you're planning to visit make sure this is on your list.